In making this series I knew I wanted to try something different. I started by thinking about color. I wanted these pieces to be simple and clean. I was taking a lot of time thinking about what I wanted to create. 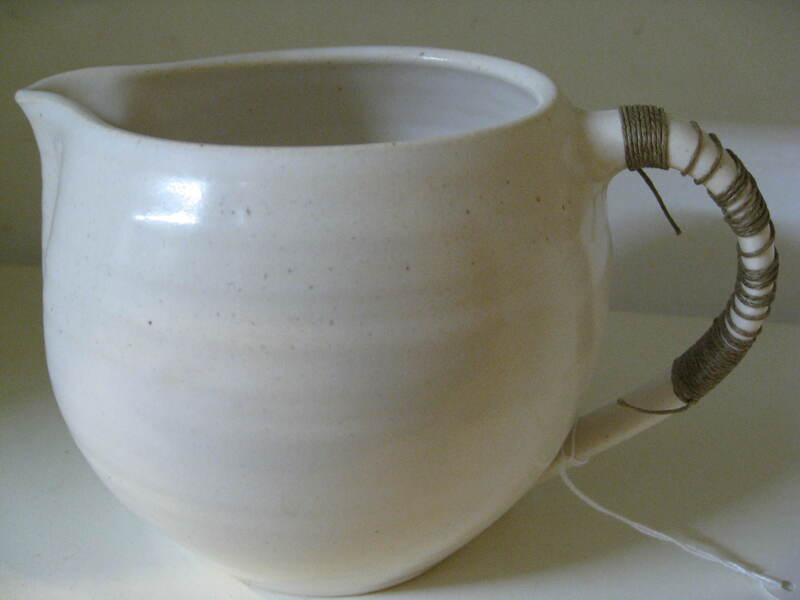 I chose a white glaze. When I had a few of them home from the studio I thought to play with adding contrast. 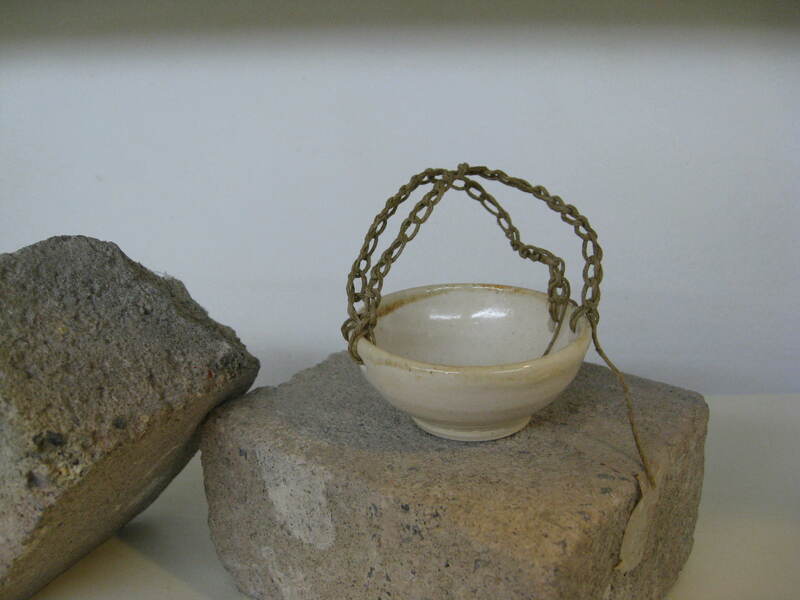 I started with a teapot — looking for a way to make it stand out. 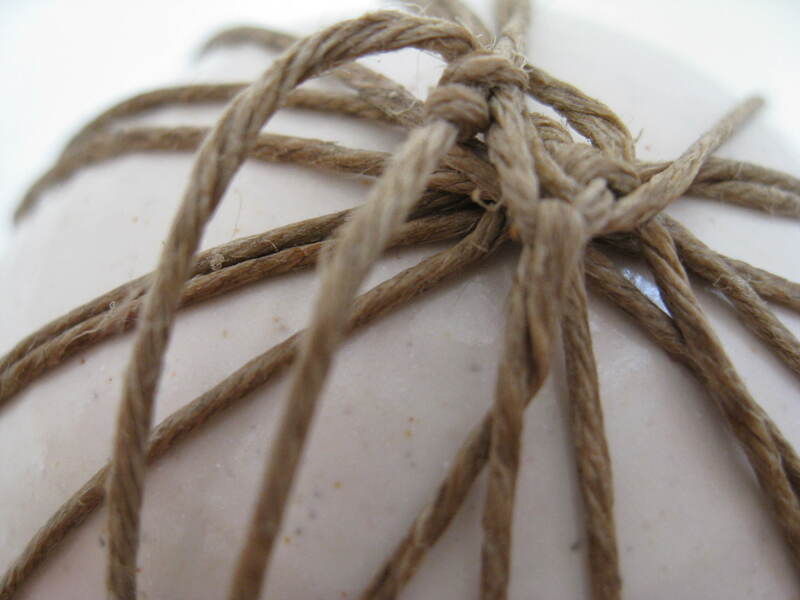 I sat on the floor of my living room holding the teapot in my lap and I thought of the wax-coated fishermen’s twine I’d found at an antique shop in Mystic, CT months before. My husband had humored me at the time, ‘What do you want that for?’. I wanted it even though I didn’t know for what or when. 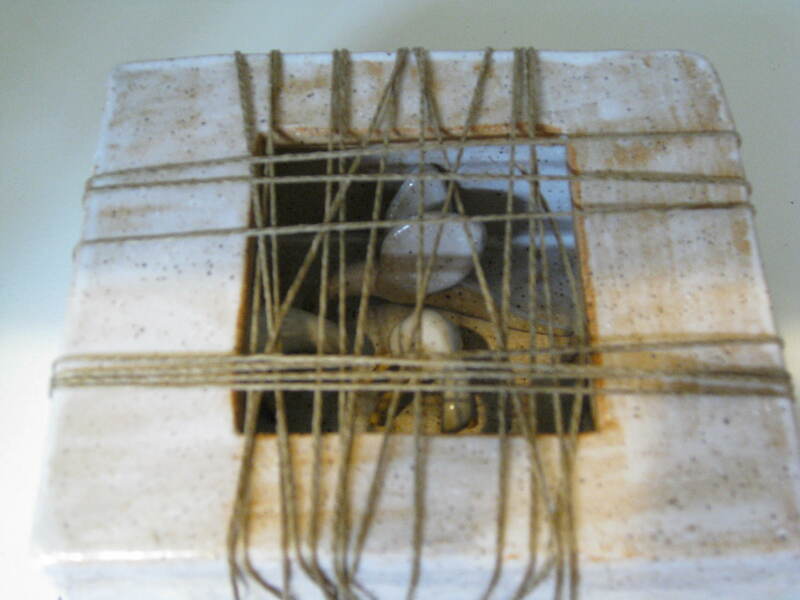 I took some of the twine and began to wrap it around the neck of the pot. I felt a chill knowing I was on to something. I had to try a few times to get the tension right, the placement right, the right design. I felt completely engrossed in the act of creation. 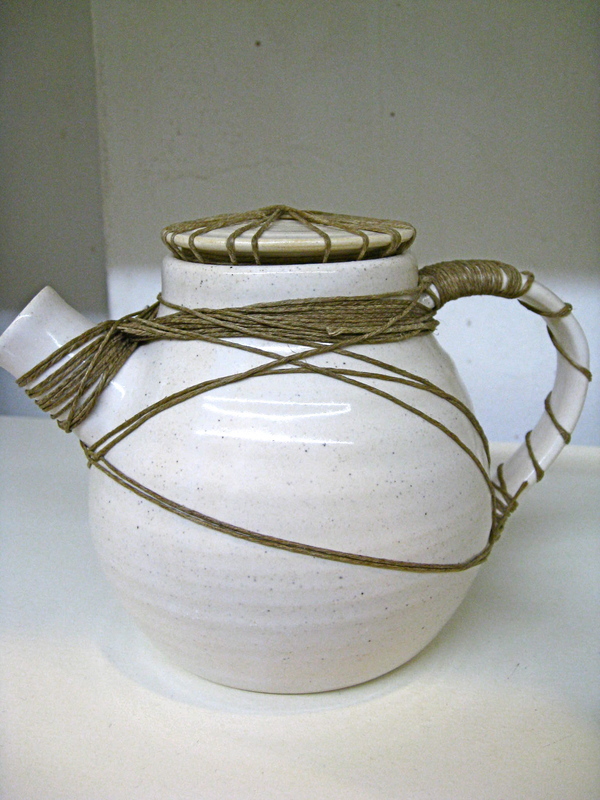 I love the earthy contrast of textures — the rough brown twine against the smooth white stoneware.